I added a simple link to a sample xpage to open a web URL (sample: Google). 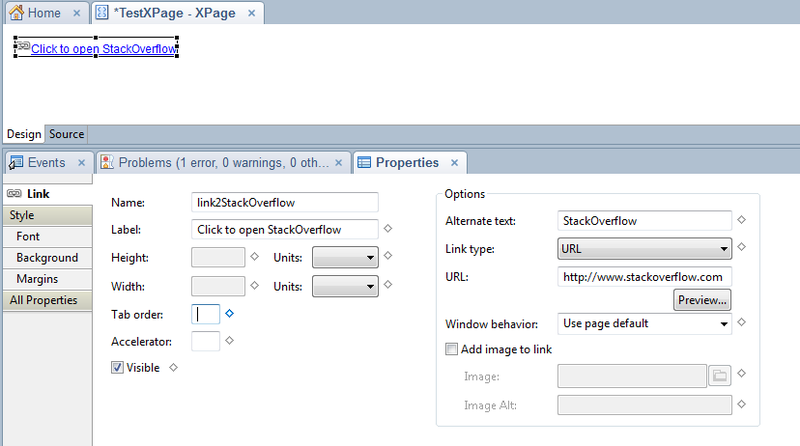 The code work fine when I open the Webpage in a web browser but acts differently when I open the Xpage in the Lotus Notes Client. It only sends a blank screen and did not open the site. Any fix, suggestion or work around to make the behavior act the same way in both Notes Client and Web Browser? I guess you are creating your link in a not right way. 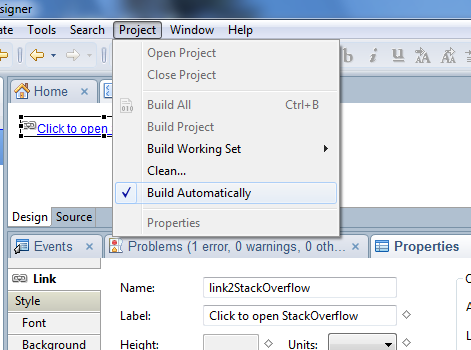 Make sure, you have set "Project - Build Automatically"
Save the page and open it in the client and in a browser. How does the “this” keyword work? How does data binding work in AngularJS? How to open link from client integrated browser in user's default browser? Can I open Xpage app from Notes Browser Plugin Workspace?